That means fear has to bow its knee to the name of Jesus. This makes me grin. 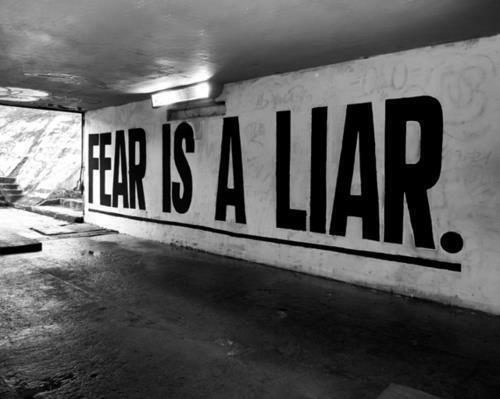 = ) Fear and perfect love cannot coexist (1 John 4:18), so what is the quickest way to deal with fear? Soak in the presence of the One who pours out His perfect love on us! It doesn’t get much more simple than that. Then in place of that, what do we get? Power! Love! Soundness of mind! I can’t think of anything that I would rather have at the core of my being than those three things. And there it is, right in 2 TImothy – God gave us those things. Not “He can” or “He will if you work really hard”. Its in you, walk it out! It hits home for me that Paul is speaking to Timothy in the context of using his gifts. I don’t really struggle with fear when it comes to heights, spiders, death, sickness or the awful things that happen in this world. But when it comes to using my gifts I’m much less confident. I even choked on the words “my gifts” just now. What are my gifts, what if people think that sounds prideful? What if people look at my life and think “as if she has anything to offer this world”? Eww, fear. So I’m certainly not saying it’s any easy thing to deal with, but it is simple!